One person is dead after a shootout in the San Pedrito Sub-Division of San Pedro Town, involving police officers of the San Pedro Police Formation (SPPF). The deceased was identified as convicted prisoner 25-year-old Juan Carlos Martinez who had been at large since December 13, 2015. Martinez lost his life when he engaged in a shooting incident with the police around 11PM on the evening of Tuesday, October 25th on the lagoon side of the sub-division. The official report from the police states that while acting on information received of the convicted prisoner and escapee Martinez, a team of police officers visited a house in the San Pedrito Area. They surrounded the house and called out Martinez as they identified themselves as police officers. The report states that shortly after, a fair- complexioned male person dressed in a ¾ camouflage pants and no shirt exited the house and jumped off the veranda into the lagoon behind the house. The police officers set chase after the male person through the lagoon, and into a swampy area, during which time they heard what sounded like gun shots. The police quickly took cover and returned fire in the direction from where they were being attacked. After a few minutes of silence, they went to the area where they had heard the gunshots. They immediately came across the lifeless body of Martinez. He had received several gunshot wounds to the upper part of his body and succumbed to the injuries at the spot. The body has since then being transported to the Karl Heusner Memorial Hospital in Belize City, where a post mortem examination awaits. Martinez was no stranger to police, and before his escape, he had been serving a ten year sentence after being arrested and charged for armed burglary in the Tres Cocos Area of Northern Ambergris Caye in March of 2014. At that time, he was accompanied by a minor, and it is believed that he had been terrorising that neighbourhood of the island. 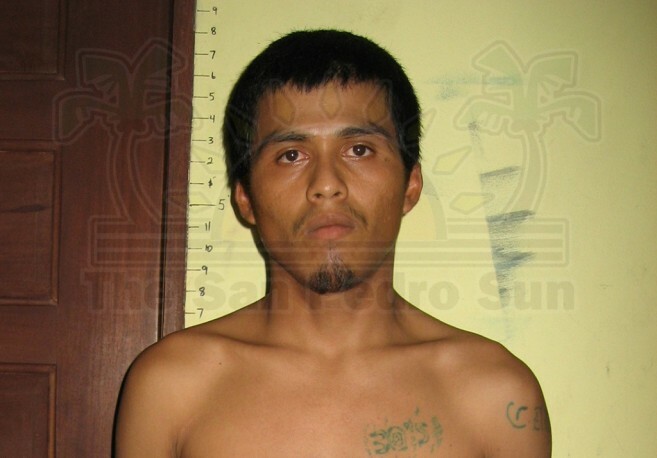 During an identification parade on December 13, 2015, Martinez escaped from San Pedro Police custody. At that time he was to be sentenced for another additional 10 years for the crimes of robbery, burglary, aggravated assault and firearms offences. While he was on the run, he was considered armed and dangerous, and a wanted poster was issued for his apprehension. This latest incident in which the police was involved has prompted the Commissioner of Police to have directed a thorough criminal and internal investigation. The results of the investigation will reveal if the police officers involved in the shooting acted fairly and according to the law.